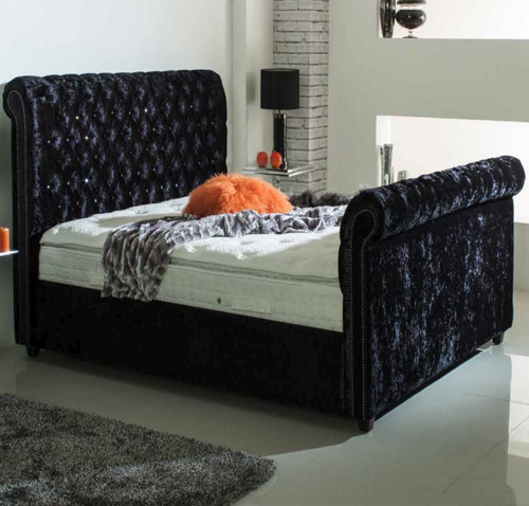 The Alexandria has a deep padded headboard, along with a Pull Back Storage compartment.The Alexandria above is shown here in Gracelands Black. For the ultimate in luxury, make an appointment with one of our in store Sleep Experts and we’ll help you create your perfect bed. The Vienna has a deep padded headboard, along with a Pull Back Storage compartment.The Vienna above is shown here in Gracelands Cream. For the ultimate in luxury, make an appointment with one of our in store Sleep Experts and we’ll help you create your perfect bed. 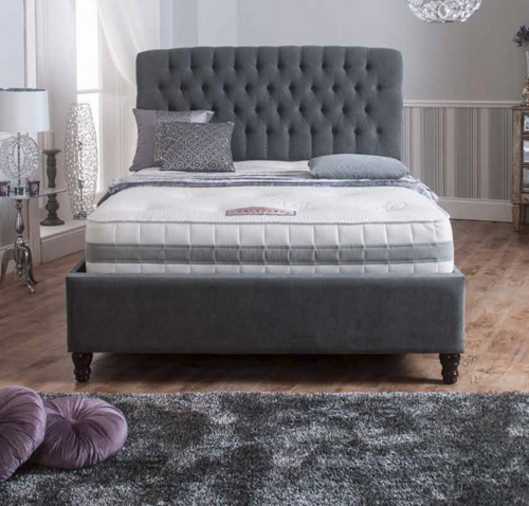 The Athens has a deep padded headboard, along with a Pull Back Storage compartment.The Athens above is shown here in Victoria Charcoal. For the ultimate in luxury, make an appointment with one of our in store Sleep Experts and we’ll help you create your perfect bed. 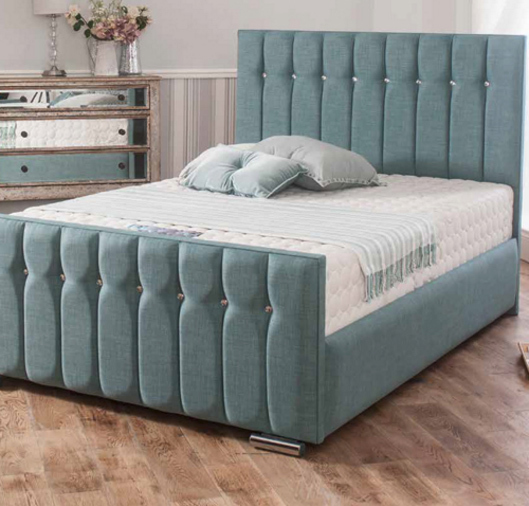 The Chesterfield has a deep padded headboard with a distinguished chesterfield button design, with a Pull Back Storage compartment. The Chesterfield is seen here in Crushed Velvet Ebony. For the ultimate in luxury, make an appointment with one of our in store Sleep Experts and we’ll help you create your perfect bed. 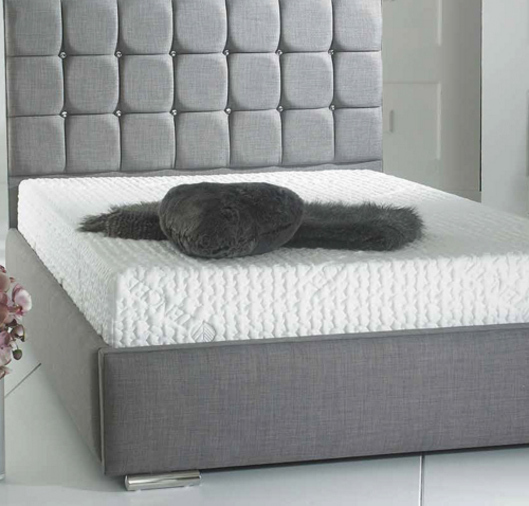 The Chicago has a deep padded fashionable headboard, along with a Pull Back Storage compartment. The Chicago above is shown here in the amazing Victoria Duck Egg. For the ultimate in luxury, make an appointment with one of our in store Sleep Experts and we’ll help you create your perfect bed. 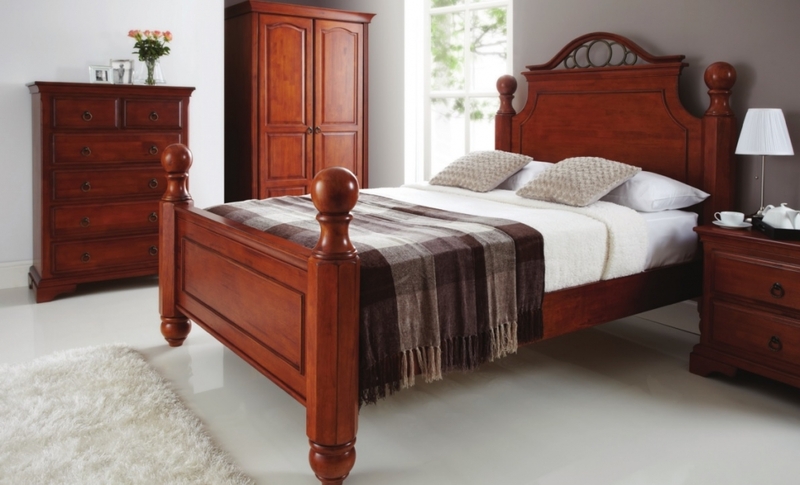 The Heirloom is a traditional wooden bed frame from the high quality Calder House range. It features a sturdy wooden construction and is finished in stylish dark brown. Round finials and curved metal detailing give the perfect finishing touch. 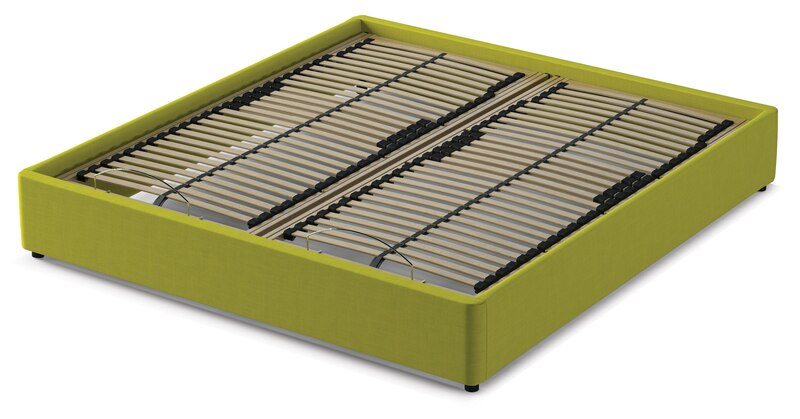 With a solid slatted base offering superb mattress support and ventilation. 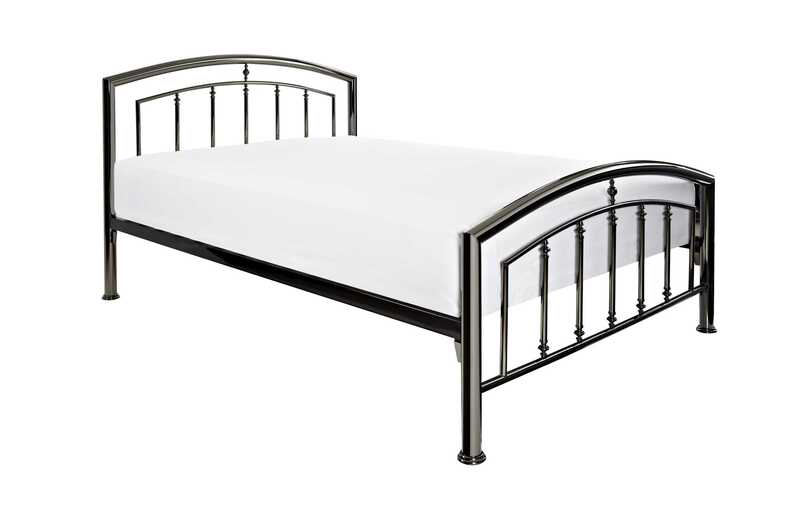 Available in 2 sizes and 2 colours, the Cadiz is a contemporary bed frame with a shiny nickel or black nickel finish. 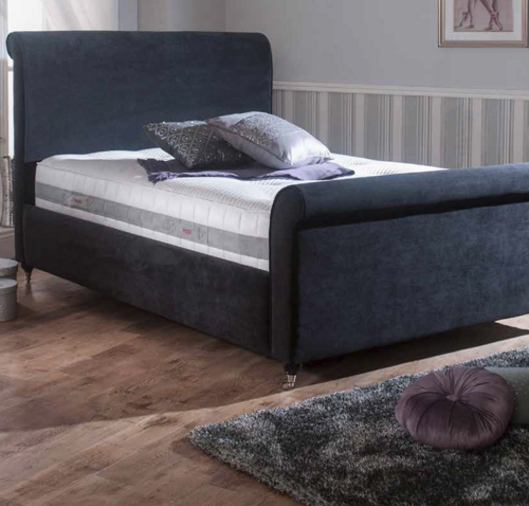 The Cuba has a deep padded fashionable headboard, along with a Pull Back Storage compartment.The Cuba above is shown here in the super Linoso Slate. For the ultimate in luxury, make an appointment with one of our in store Sleep Experts and we’ll help you create your perfect bed. 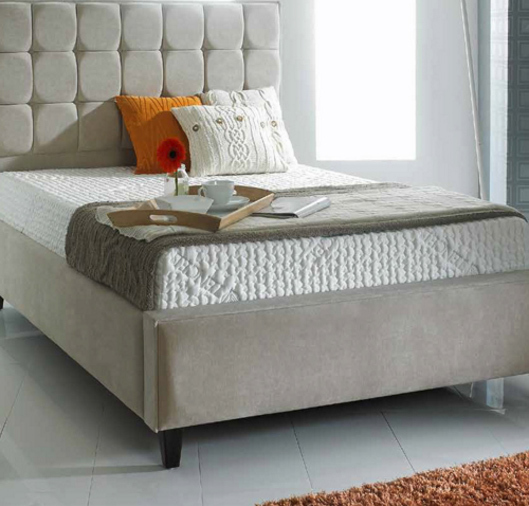 The ultimate in stylish and functional comfort, the Dunlopillo electrically adjustable bed is a fluid harmony of practicality, innovation and design. 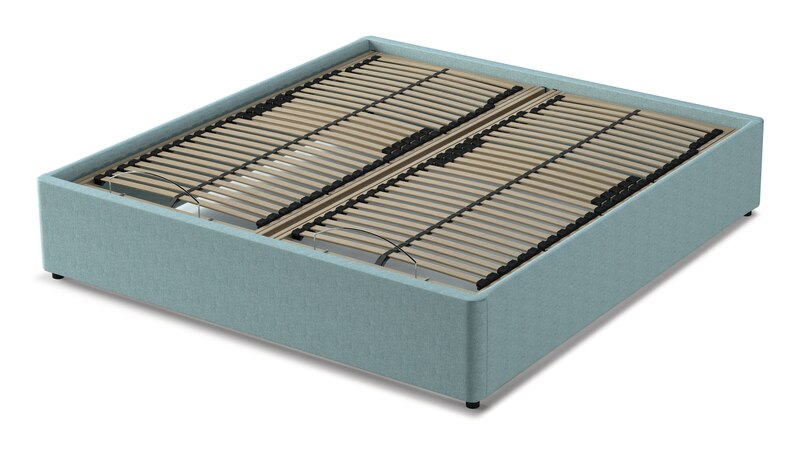 The sprung birch wood slats individually flex to your body shape, weight and movement providing a firm yet supportive foundation to your Dunlopillo mattress.